Because today’s amateur astronomical telescopes are both powerful and affordable, spectroscopy – once the province of professionals – is becoming more and more popular. Various spectroscopes, at prices to suit everyone, are now available “off the shelf”. 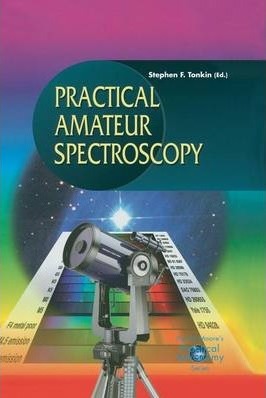 Practical Amateur Spectroscopy contains everything an amateur needs to grasp the basic principles, to begin observing, and to understand just what the spectra show. Contributions by leading practical amateurs from America and Europe cover a very wide range of amateur equipment and techniques. One even describes how an audio CD can be used to show solar emission and absorption lines!